Use the code 20NOV to save 20% on everything. This weekend, the price of a PC Gamer subscription is pretty much the lowest it's been all year. 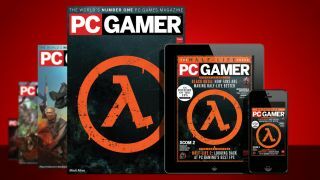 Use the code 20NOV on your basket or at checkout to save an extra 20% on everything PC Gamer-related, including print and digital subscriptions. This deal expires at 10AM UK time on 28 November, so make sure you checkout before then if you want to take advantage of this offer. Every month, you'll get the latest in previews, reviews, hardware coverage and features sent to your door or digital device. You'll also get Extra Life, our section dedicated to spotlighting our favourite bits of PC gaming. Just head here to subscribe today.